As a Carpet Cleaning North Sydney company that has been providing the best quality services to both commercial and residential clients, we have what it takes to provide our customers top notch services. While we never compromise on the quality of our services, you will find that we maintain very competitive pricing. This means, expert carpet cleaning doesn’t have to come with an expensive price tag. We work very closely with you in order to understand exactly what your requirements are. Whether you need a one off carpet cleaning or require us to come in on a regular basis to clean the carpet on your property, we are the Carpet Cleaning North Sydney professionals to call. As a company that has been operating in this industry for a very long time we are very well-versed with cleaning different types of carpets. Not only can we cleaned synthetic carpets expertly, but our clients trust us with Carpet Cleaning North Sydney for their expensive wool carpets and rugs as well. 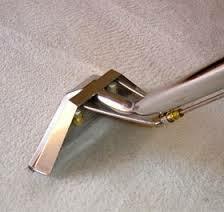 Stain removal is the first step in a carpet cleaning North Sydney job. Some of the most common stains that we come across include grease, food as well as liquid stains. We at Spot On Carpet Cleaning are the experts that provide custom carpet cleaning North Sydney services to both residential and commercial clients. Our expertise in this space has earned us a large number of new and returning clients. For any more information, feel free to contact us either via this Online Form or this number – 0405 554 247.